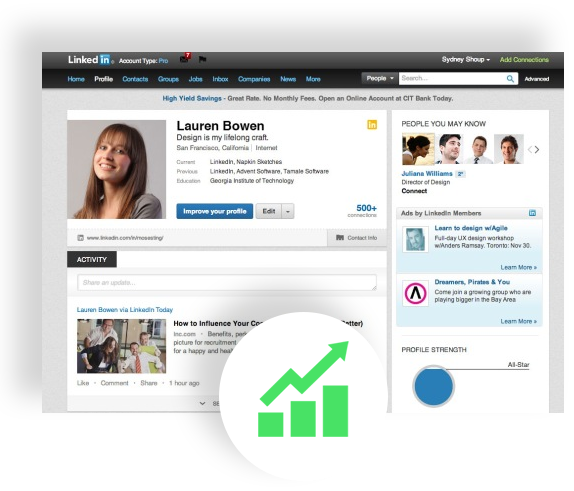 LinkedIn today is one of the top networking sites for professionals with millions of members. If you do not have a LinkedIn profile, you will need one if you want to grow professionally and to expose yourself and your professional skill and experiences to new opportunities and growth. Many individuals create a profile and leave it not realizing its true potential to grand you life changing career opportunities. Uncountable numbers of recruiters as well as employers themselves utilize LinkedIn as a massive database for potential candidates for their companyâ€™s human resource need. To make your LinkedIn profile effective you have to use all the options it has offered and many individual are not aware of it. In Nepal, companies and reputed recruiting companies are using LinkedIn to locate the perfect candidates. If your profile is not effective you lose a chance to be exposed among those companies. And the reason can be your profile is not well groomed, your summary of job description is not expressing your true potential etc. And to fulfill this emergence of need, FroxJob has come up with this free service to help our fellow individuals to optimize LinkedIn profile. Our experts will maximize the efficiency of your profile by improving every component LinkedIn has to offer to help your professional growth. Our experts will look into your interest and skills and experience and knowledge and put it in a best effective way to help employers discover you and find you in their LinkedIn search. The process doesnâ€™t stop there because what your profile displays play another crucial role in landing you an offer. So our experts will groom your skills and experience to help you stand unique and as a useful human resource. If you want this service all you have to do is make an appointment and co operate with us to open new gates of opportunities for you in this growing advanced world of technology.